When the explosions fade and the last echoes of gunfire die, as the bruises and broken bones from the roundhouse kicks and dazzling special attacks slowly heal, there comes time for calm, peaceful reflection. That's the domain of Quell Memento. The third in a series of zen-like puzzlers from Fallen Tree Games, Quell Memento builds upon the theme of the original Quell and Quell Reflect, sifting through the jumbled memories of a life lingering within an old abandoned house. There is a story weaving in and out of these more than 150 clever logic and movement puzzles. 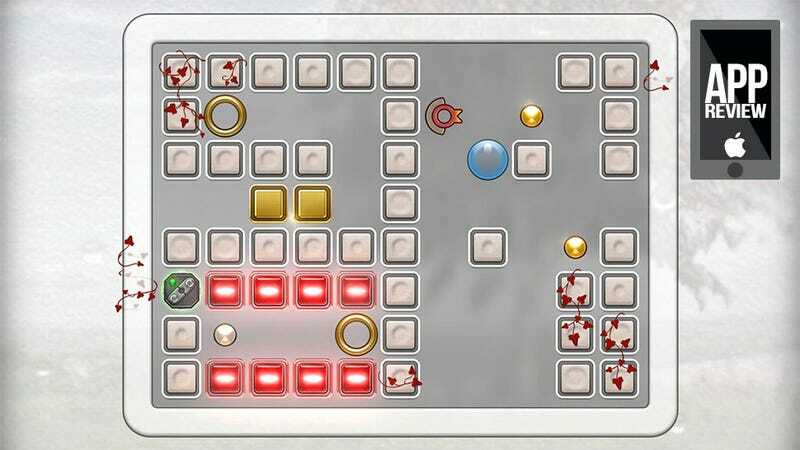 As you navigate raindrops through obstacle-laden mazes, attempting to collect pearls in as few moves as possible, the voice of an elderly gentleman offers snippets of commentary on the life events the puzzles represent. New gameplay elements are introduced as we journey through this man's life, reflecting his emotions in puzzle form. For example, there's a set of 12 puzzles in a series called "A Cold Heart", which introduce ice and teleporting rings to the game. As one progresses through the puzzle, the inspiration for these elements become clear. Quell Memento is an amazingly clever, refreshingly thoughtful, and thoroughly relaxing puzzle game that will make you wonder how people will piece together the memories you leave behind one day.